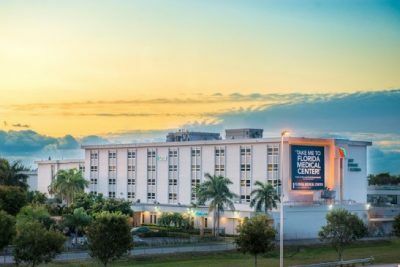 EE&G Construction & Electrical, LLC (EE&G) was retained by the Florida Medical Center to conduct Asbestos Abatement and Air Monitoring Services at the North Building in Lauderdale Lakes. This building is a for-profit acute care hospital based at 5000 West Oakland Park Boulevard in Lauderdale Lakes, Florida. The facility is accredited and provides emergency services. The work was performed under the supervision of a Florida-licensed Asbestos Consultant for the removal of asbestos-containing materials (ACM). As a Florida-licensed Asbestos Contractor, EE&G provided labor and equipment to remove the ACM. This project followed a predetermined schedule of 7-8 work days as-needed. •	Determine the Area that needed Asbestos Abatement. •	Determine the Asbestos Abatement Procedure. •	Obtain Government Issued Permits. •	Assemble the Products Necessary for Asbestos Abatement. •	Complete Asbestos Abatement Process. •	Collecting Air Samples from Site. •	Battery Operated Instruments for Real-Time Measurements of Temperature, Humidity, Wind Direction, Wind Speed, PM2.5, PM10, CO, CO2, NOx, etc. •	Monitoring of Human Exposure to Harmful Pollutants. •	Detection & Measurement of Harmful Gases in Air from Collected Samples. •	Provide Solutions to Further Improve Air Quality in Companies. EE&G also conducted final PCM air clearance monitoring, with analysis by a local 3rd party testing laboratory on a 6-hour turnaround time basis. A final report was submitted to accommodate local EPA and permit filing requirements. The completed job included Infection Control Risk Assessment barriers and requirements for Class III/IV work.